Wouldn’t it be great if your kids always followed your rules? A simple way to increase compliance with rules is to give your children some type of rational for why the rule exists and why the consequences exist. Watch the video below from Dr. John Medina, author of Brain Rules for Baby, explain and demonstrate this concept. When your emotions are high and you’re discussing something you care dearly about, you are in a crucial conversation. You might be talking to your partner about how to handle a situation where your child has misbehaved, speaking to a teacher about how to best work with your child or bringing up a touchy subject with your child. Because of the dynamics, it can be challenging to stay focused and be at your best during discussions like these. If you’d like to handle these types of conversations better, check out the book Crucial Conversations Tools for Talking When Stakes Are High. It is filled with ideas for performing well when discussing something you care deeply about. You’ll learn to notice when someone has stopped contributing to the conversation by using silence or violence. You’ll also develop the skills to bring that person back into the dialogue by making the situation feel safer. Improving your abilities in handling crucial conversations will allow you to address important issues while maintaining healthy relationships. Do your kids ever procrastinate on doing their homework? It’s hard for most people to get started on something they don’t really want to do. How can a task like homework be made more fun? Write down the homework tasks that need to be done. For each task, write down the time they think it will take. Set a timer for a task. If it’s accomplished before the timer goes off, score one point. Determine the prize for the points. It can be as simple as running outside and shooting 10 baskets or eating three strawberries. Check that item off and go to the next task. By transforming homework into a game, they will have more fun doing it. They will also gain the important life skill of writing down what needs to get done and checking it off once it's done. Lying, cheating and stealing are some of the behaviors you do not want to see in your children. So how do you teach your children to be honest? Being honest is much more difficult than it initially might sound. Being human and being honest don’t naturally go together. Dan Ariely, a professor at Duke University, has devised clever experiments to measure dishonesty. He details his findings in his book, The Honest Truth About Dishonesty: How We Lie to Everyone---Especially Ourselves. For example, when given the opportunity to cheat on a test to solve math matrices, the average person reports solving 70% more problems correctly than the control group who couldn’t cheat. Wow! It’s a developmental milestone when a child learns to lie. Researchers have found that most children reach this milestone by age 3. Lying is possible once children realize that the information they have is different than the information other people have. 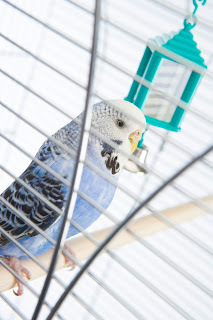 When Nancy was staying with her grandparents, one of her chores was to clean up the bird seed on the floor under the parakeet’s cage. One day she was doing this chore but taking a short cut. Instead of sweeping the seed up and putting it in the garbage, she was simply sweeping it under the dresser – a much quicker way to get done! She felt horrible she had let her grandfather down and proceeded to clean up all the bird seed by correctly putting it into the garbage. This incident happened when she was 10-years-old. She’s now 60 and says she often remembers this story. It has helped inspire her to make better choices over the last 50 years.